Edited by Jason L. Dragoo . Staying current in the rapidly changing field of arthroscopic surgery presents a challenge for practitioners and students. Books and review articles are often outdated on the day of release. Recently, rapidly published on-line books have filled an educational void, assisting millions of practitioners to stay updated on the latest techniques. The chapters in this book entitled Modern Arthroscopy were written by a panel of international experts in the various disciplines of arthroscopy. The goals of this text are to present the classical techniques and teachings in the fields of Orthopaedics and Dentistry, but also to include new, cutting-edge applications of arthroscopy, such as temporomandibular arthroscopy and extra-articular arthroscopy of the knee, just to name a few. The InTech online publishing format allows rapid publishing of these new techniques to keep the content accurate and up to date. 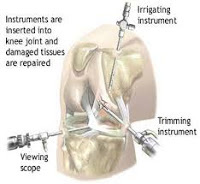 The chapters are organized anatomically, with the first chapters introducing basic arthroscopic techniques, while later chapters describe newer, more advanced techniques. The surgical technique sections of the chapters are clearly labeled for easy reference. It is my hope that this book will either assist readers in learning the current techniques of arthroscopic surgery, or serve as a springboard to stimulate the creation of new techniques, which have yet to be described. On behalf of the authors and InTech Publishing we thank you for your interest in this book, and hope Modern Arthroscopy becomes a core reference for your arthroscopic surgery practice.